Integration of your call center programs will skyrocket employee productivity, and allow them to provide unbeatable customer service. Nectar Desk will display each caller’s Shopify history and personal details when their call is connected. Employees can use this history and information to quickly build a rapport and provide a better customer service experience. Jumping back and forth from program to program wastes the valuable time of your employees. Remove that gap with Nectar Desk’s Shopify call center integration, and your agents can perform all their tasks without having to leave their Nectar Desk application. Nectar Desk’s automated workflows remove the requirement to manually input data into different programs. Save resources and reduce errors by causing individual Nectar Desk events to trigger Shopify actions. One set-up, it’s all happening automatically. Nectar Desk automatically matches numerous levels of data from Shopify to Nectar Desk, and vice-versa. This gives your staff the assurance all their data is current, accurate, and will allow them to meet your customer’s expectations. Pick and choose what information is shared between Nectar Desk and Shopify, to meet your unique set of call center requirements. When your programs are filled with the exact details your agents require, they are able to direct their attention back to serving their clients. You can easily configure the Nectar Desk Shopify assimilation. You won’t need to call your IT guy, as there is absolutely no coding or programming required. You will require your Shopify credentials, and you can be set-up almost immediately. Let us show you how to integrate your call center with Shopify – it’ll only take 5 minutes! 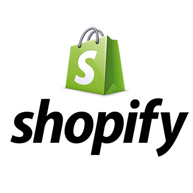 Get your Shopify credentials. Access your “Apps” page in your Shopify account, where you can create a new private app. Copy both the API Key and Password. Activate the Nectar Desk Shopify Integration. 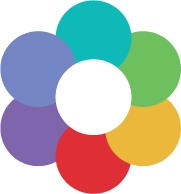 Access your Nectar Desk application, and use your Shopify credentials, API Key, and Password. It’s that simple! Create your automated tasks. In Nectar Desk, create the specific Shopify events that will be triggered once certain actions have been taken in Nectar Desk. Begin making and accepting calls! All set. You can now make and accept calls in Nectar Desk, or use the click-to-call feature through Shopify. Experience the Most Complete & Affordable Leading Cloud-Based Call Center Software for Yourself. Request a free demo today, and we’ll immediately get started helping your business become more productive and able to provide the best possible customer service experience.